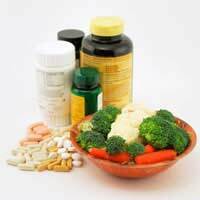 Home > Vitamins & Your Health > Can Vitamin Supplements Damage Your Health? When most people think of vitamin supplements they recognise their benefits immediately and believe them to be a entirely safe method of ensuring the body is receiving the right amount of vitamins and minerals necessary for maintenance of good health but many do not recognise that some supplementary substances may actually be bad for health if taken in large quantities. Scientists have found after conducting research that many people are taking too many supplements as they falsely believe that by taking a large amount of the supplements they are giving their body more than enough of what is good for them and are doing a good thing for their body. In fact these researchers are calling for urgent and extensive research into he use of supplements as it is thought that by consuming too many of them, the public may be putting their health at risk. People are now also using more and more injected vitamins especially after many celebrities have admitted that they use them as a way of ensuring their bodies are receiving what they need whilst the person is on a strict diet. What Are The Known Risks To Health? Most vitamin supplements are secreted normally in the urine after being processed by the body, but some can become toxic at high levels and damage the organs. Pregnant women are at risk of causing damage to their unborn infants from some supplements whilst other can interfere with current medications and either render them less effective or exacerbate the effects which can be equally as dangerous. It is also thought that some supplements can lead to them development of certain illnesses some extremely serious such as cancers. Which Ones Should Be Avoided? In actual fact taking too many of any type of tablet, medicine, solution or otherwise should be avoided. The guidelines written in the accompanying literature or on the bottle are there for a reason and should be followed as closely as possible but there are some that pose a greater risk than others, thought his may be because of a lack of current and available research. Vitamin A and food products high in this vitamin such as liver should be avoided by pregnant women as it can easily pass to the baby and cause birth defects. Vitamin C which is considered as a ‘wonder’ vitamin by many can also be dangerous in high quantities though it is difficult to overdose on this by food products alone and most ‘overdose’ occurs as a consequence of incorrect consumption of supplements. It is recommended by experts that the most dangerous to health substances that should be taken extremely carefully as a supplement include niacin, manganese, vitamin B6, zinc, phosphorous and betacarotene. It is also thought that calcium and iron may be harmful if taken in large quantities and research continues to investigate the long term effects of this. The evidence so far is not intended to cause people to alter their diets for fear of consuming too much of these substances as in the right amounts they are essential for health and those with a poor diet may well benefit from taking a supplement but there is no better way of ensuring that you are consuming the right amounts than by taking a diet high in fruits and vegetables that is varied and balanced. If you have any concerns at all speak to your GP or dietician who will be able to advise you how to make that most suitable and healthiest changes to your diet.